Life in the Boomer Lane has known several women who have been contacted by men who knew them as former boyfriends, decades earlier (in one case, at summer camp). These later-in-life reunions have been met with varying degrees of success. Take note, people on the prowl. 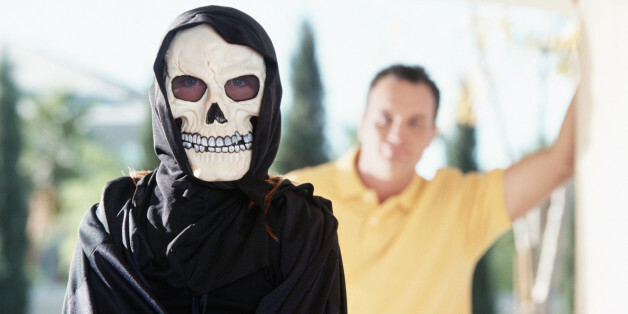 Do Singles Use Their Halloween Costume To Disguise From Love? Here are three disguises that could be good for your Halloween party but harmful to help you find a fulfilling relationship. You let the other person change you. There is a 90 percent chance you will not fall for anyone because you are too busy organizing your next date. But hey it's New York, who has time for that anyway?! All I know is I want someone waking up next to me because they want to be there, because they chose me again that morning, not because of that conniving little word "commitment." I've been single for most of my life, and I've also been in a few relationships. Both have had its pros and cons, but I want to shed some light on the benefits of being single. I'm very lucky. I have a beautiful wife and a nice life up here in the hills of Los Angeles. It wasn't always like that. I tried the singles scene in a bar one particular night in Hollywood, and I couldn't get into it. Anyone who has been single for any length of time has probably had this kind of night. It can feel very significant in the moment, even though it doesn't really mean anything other than that you've had a bad night. Author, "This Made Me Think of You"
Being single is not going to kill you. Being single is not going to ruin your life. Being single is not the worst thing that has ever happened to you. Being single does not make you a leper. It's quite the contrary, in fact. Being single makes you a better person. Will differing politics make a decision on who you select as a date? The combination of dating and politics makes a hot topic when it comes to matters of the heart this political season. In 2008, I attended Easter morning worship with my mom and dad at a progressive United Church of Christ congregation. The sermon was engaging. The music was magnificent. Everything about this Easter morning worship was spiritually meaningful. But I was distracted... and distraught. Are You Guilty of Lowering Your Standards? I now was able to weed out the guys who I couldn't take seriously, and make space for the right person. I started to change my life into the one I always wanted, and in a short time, the right person came along. In the world of romance much has changed over the last few decades. For those who are looking to enter into a relationship, expect courtship and protocols for communication to be totally different than they were in the '80s or even the '90s. Nowadays, people live their lives, both personally and professionally, through their phones and wristwatches. Sometimes we all need to be reminded of something we already know - like to go to bed at a reasonable hour, or to say no to that last shot of tequila. Men and women really do have differences beyond our anatomy, which we all know (of course) but often forget (when our emotions are involved).